Designed and developed by Twisted Hobbys team members Chris Jewett and Cody Wojcik, the Crack Turbo Beaver takes the extreme design philosophy that produced the renowned Crack Yak, Crack Pitts, and Crack Laser and gives the Crack treatment to the famous DeHavilland Turbo Beaver bush plane. RCFactory adds their world-class manufacturing techniques and the highest quality EPP foam available. The result is just about as much fun as you can have with an RC airplane! Harriers, hovers, precise knife-edge, rolling harriers, flat spins, snap rolls, and other high-performance aerobatics compliment the traditional loops and barrel rolls you would expect from a high-wing plane. 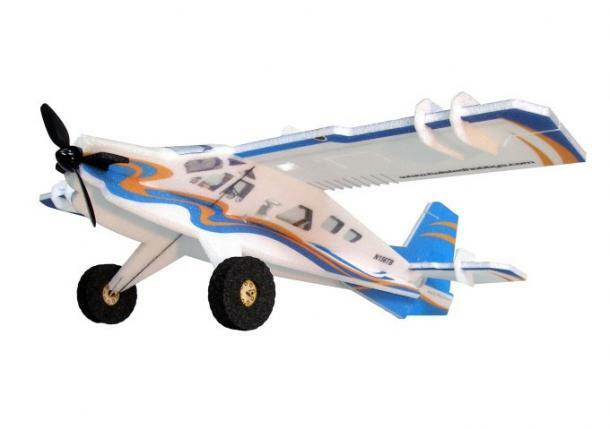 The high wing placement means that the Crack Turbo Beaver is also very stable, and makes a great beginner\'s aircraft, or just lazily cruising around the back yard. Of course, being nearly indestructible means you can fly between trees, spot-land on your picnic table, and try other crazy things that you\'d never do with a balsa airplane. 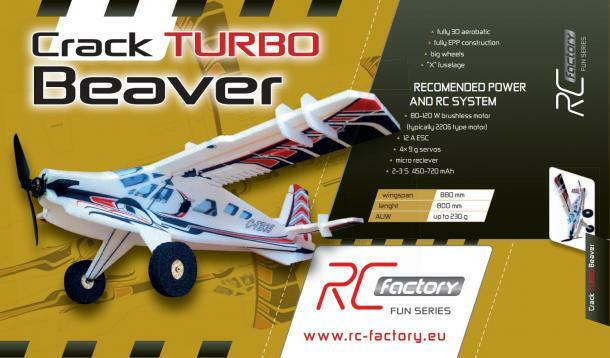 Pair your Crack Turbo Beaver with any computerized 5+ channel radio and enable flaperons and spoilerons for even more fun and capability! Near-vertical stalled descents with the spoilers up, low-speed scale flying with the flaps down, and super-tight loops with the flaps mixed to the elevator add even more depth to the CTB\'s repertoire.